White tigers, also known as Panthera Tigris in Latin, are one of the most beautiful animals on earth. 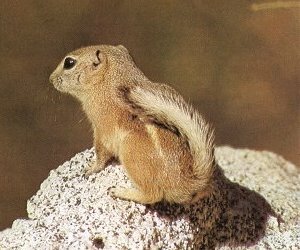 They are famous for its white fur/complexion, which is caused by a recessive gene. They are larger both at birth and at full adult size than orange tigers, and are the biggest cat species in the world. These tigers are an endangered species as there are only about 5,000 to 7,400 white tigers left in the wild due to excessive poaching. In Traditional Chinese Medicine, tiger parts are believed to have special medicinal powers. Unlike other big cats, adult tigers prefer to live alone as they are able to sneak up and surprise its prey as opposed to when it is with a group of tigers. 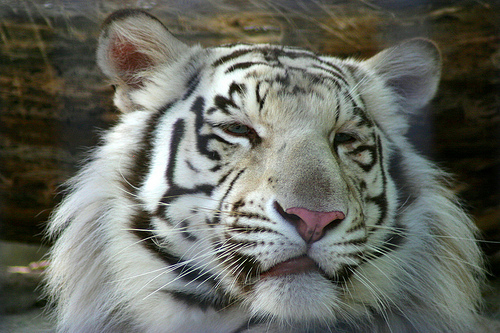 Although they live alone, male white tiger territories usually overlap with several female white tigers. The size of the tiger territories normally depends on the amount of food available which ranges between 10 to 30 square miles. Female tigers reach sexual maturity when they are about 3 years old, and males reach their sexual maturity a year or so later. The gestation period for white tigers is approximately 103 days. After mating, the male tiger does not stay to aid raise the cubs with the female tiger. Usually 2 or 3 tiger cubs will be born, however the largest litter is 5 cubs. Despite this, at least one will die at birth. Tiger cubs live with their mothers between 1.5 – 3 years when they are old enough to have skills to start their own life. There are several types of tigers that are considered as white tigers. Dark-striped white tigers have been documented in the Bengal Tiger subspecies, and the captive Siberian Tigers. 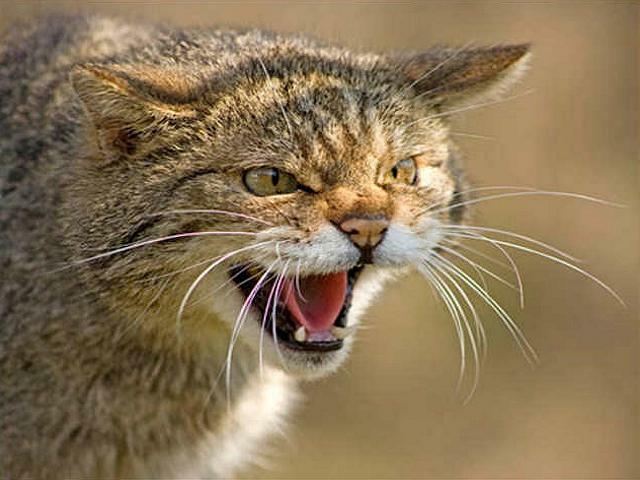 However, it is more closely associated wit the Indian or Bengal species. At present, there are several hundred white tigers held in captivity worldwide, 100 of which are in India. Sadly, numbers of captive white tigers in India are increasing. 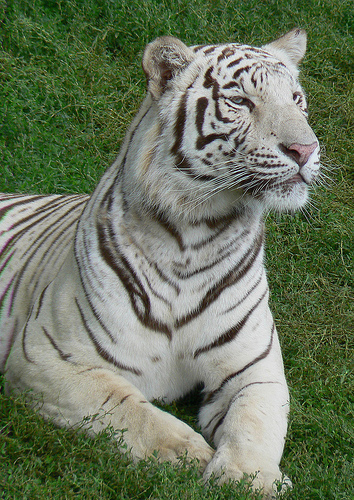 The modern population of white tigers include both pure bengal towers and hybrid bengal-siberians. However, it is unclear whether the recessive white gene came from only the bengals or the siberian ancestors as well. The unusual colour of the white tiger has made them popular in zoos and entertainment showcases that feature exotic animals. A famous example is the duo of magicians, Siegried and Roy. This duo are famous for having bred and trained 2 white tigers for the magic performances, and refer to them as ‘royal white tigers’. This may be due to the white tiger’s association with the Maharaja of Rewa. Other exotic white tiger performances include the trio of Ron Holiday, Joy Holiday, and Chuck Lizza who were subjects of the documentary film, Cat Dancers, which appeared on HBO. They worked with a white tiger, which unfortunately ended up killing 2 of them. What a shame that such a beautiful animal could soon be extinct. 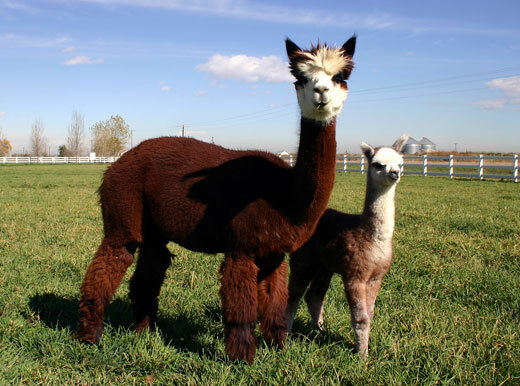 In my opinion, they are the most beautiful animal God created.